That’s right! We are pairing up with French hair care line, j.f. 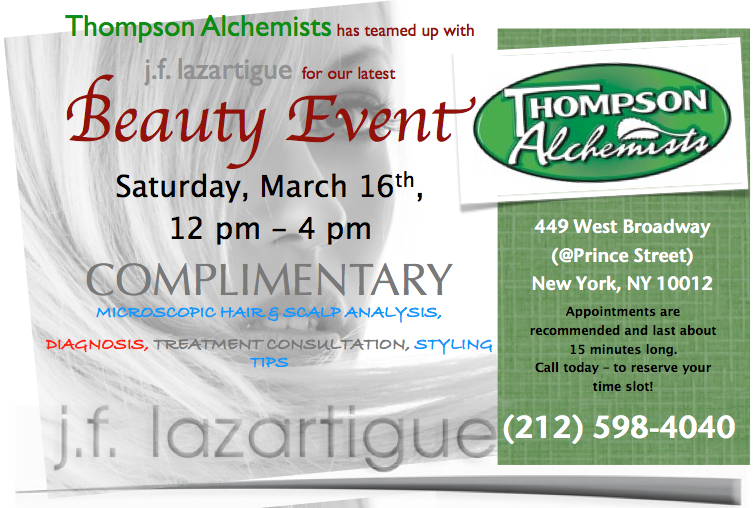 lazartigue, for a super cool event that is all about your tresses. Get an up-close look at your scalp and hair follicles and see exactly what you need!